By investing in property is most definitely one of the biggest financial commitments that we will encounter in our lives. We have seen that a lot of South Africans lack the knowledge to be able to negotiate the price. The first step to ensure that you will save money is to obtain as much info on the property as you can. Don’t limit your knowledge to the data that is just on the estate brochure. Then it is good to compare the prices of other homes in the same area. You have to compare apples with apples. Compare the price, features, quality and size of the houses. If the property market is new to you, then I would suggest that you make use of a well reputable real estate company to help you to obtain this information. If the company can’t provide you with a market comparison list then you should know that they are not professionals. I would also suggest that you obtain this information from more than one real estate company. Once you have established the price of the property then you should find out the reason why the seller is moving out of the house. Say the seller is moving out because you know is in desperate need of cash, then it will give you a bigger negotiating gap. By having this info can definitely be to your advantage. Enquire by the local authorities if they have any plans to develop in the area close to you. If that is the case then you should find out exactly on what scale they are planning to develop. It is essential that you know that developments can either have a positive impact on your property value, or it can have a negative impact. Although this information can help you, you should also understand that on some of the fields they would not give you the information. When you are ready to place an offer on the chosen property then it is wise that you don’t over play your hand. I have seen a few cases where the buyer puts down a price, which is very low, and then the seller refuses to work with the buyer in the future. 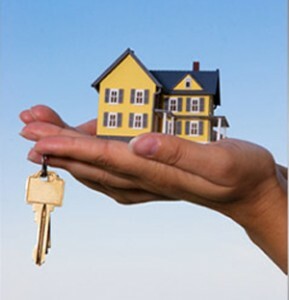 In some cases the seller withdraws his property from the market completely. It is important that you put down a reasonable and realistic offer on the property. We have seen that if there is more than one potential buyer for the house then the seller will in some cases raise the price for the property. Before you start bidding, make sure to set yourself with a maximum spending limit. If you see that the seller is not interested in your offer then you should consider matching his price, but then try to get him to do some renovations on the house. Ask him if he would give the house a new paint job, new garden etc. on his expenses and in a specific time frame. This form of negotiating has caused a lot of successful sales. It is just important that all of this is on paper so that there won’t be any difficulties in the future. We know that the prices are good for investing in property, but we should know that the estate market is still in favour of the buyer, and therefore should you be patient, don’t make decisions if you are under pressure.